Interested in volunteering with us? 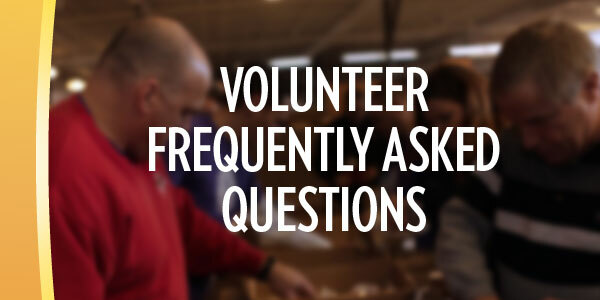 Here are some of the most commonly asked questions about volunteering at the Freestore Foodbank. Do I need to register and schedule a time to be a volunteer? All volunteers, including adult chaperones, are required to register online before their visit to the Freestore Foodbank. After volunteers have created an on-line account they are able to select volunteer shifts and request reservations for group volunteer opportunities. To create your volunteer account, please click here. To schedule a group volunteer opportunity, please click here. 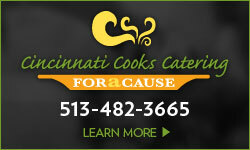 If you have questions, contact volunteer@freestorefoodbank.org or call us at 513-482-7550. What types of volunteer opportunities does the Food Bank offer? Stocking shelves, sorting food and providing customer service to people as they shop at the Liberty Street Market in the Customer Connection Center. Planting, harvesting and providing general farm labor for our 10 acre farm, Giving Fields which provides fresh produce to our community partners in Northern Kentucky. Assisting at Special Events throughout the year including Holiday Operations, Rubber Duck Regatta, Hunger Walk and Hogs vs. Hunger. Is there an age requirement to volunteer at the Freestore Food Bank? Age requirements vary depending on the activities. Mayerson Distribution Center – All volunteers must be at least 13 years of age. Customer Connection Center – All volunteers must be at least 16 years of age. Giving Fields – All volunteers must be at least 5 years of age. All volunteers under the age of 16 must be accompanied by an adult. Youth volunteers and adult chaperones are both required to complete the on-line registration in order to volunteer. The online system will prompt all minors to print and acquire a parental signature on a consent form before volunteering. What are the hours of the activities? Hours and shifts vary per event. See each activity for more information. Can I volunteer at the Freestore Foodbank on the weekend? Yes! We have volunteer opportunities at the Mayerson Distribution Center and at the Giving Fields on Saturday only. Can I bring a group of volunteers to the Freestore? Freestore Foodbank welcomes groups from corporate and civic organizations and school daily. To schedule as a group, please submit a request here. Volunteers are required to wear closed-toed shoes with closed-heels (volunteers wearing flip-flops or clogs will not be allowed to participate in any volunteer activities). Comfortable shoes and comfortable work clothes are recommended. Warmer Months: Shorts and short sleeve shirts are permitted at the warehouse, farm and in the Food Pantry. We ask that all shirts have sleeves and may not contain any inappropriate language or messaging. Colder Months: Jeans and pants are recommended for the warehouse and Food Pantry. Can I complete mandated Community Service hours for social service agencies or court by volunteering at the Freestore Foodbank? The Freestore Foodbank is a great place to complete community service hours for social services agencies or court. Liberty Street Market volunteer opportunities have been designed just for you. If you need community service hours to fulfill a requirement for a social service agency (JFS/Community Link, CMHA, ResCare or others) or you have been ordered to complete hours for a court diversion program, you must sign up for an Orientation Meeting prior to signing up for a volunteer shift. Click here. Freestore Foodbank is unable to work with those who have charges/convictions related to violence, sexual assault, theft or drugs. During the Orientation Meeting, you will meet with the Volunteer Coordinator to review your community service hours requirements, confirm the paperwork necessary to document your hours and be assigned dates to volunteer. Volunteers completing court-ordered service hours are required to bring verification of their charges to the orientation meeting. Do Not Sign Up for a Volunteer Shift as you will not be eligible to receive any documentation that will fulfill your community service requirements. 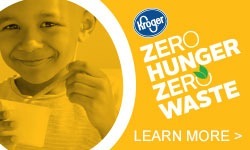 Can I complete Community Service hours for school by volunteering at the Freestore Foodbank? High School and College Students needing community service hours for school may volunteer at a variety of activities including the Mayerson Distribution Center, Giving Fields, Liberty Street Market and at special events. Students should bring any service documentation forms required by their school to each volunteer shift. It is each student’s responsibility to register as a volunteer before their first visit to the Freestore and to sign-in upon their arrival. If a student does not sign-in, we will have no record of their volunteer hours and be unable to confirm the time they have logged. During the school year, special student nights and days are held at the Mayerson Distribution Center. Click here for upcoming dates. 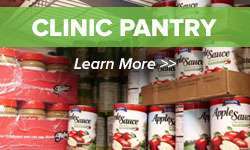 What do I need to bring with me when I volunteer at the Freestore Foodbank? Paperwork: Adult volunteers who signed up online do not need to bring any paperwork unless they require their own community service documentation for school or court. If you are volunteering for court ordered or mandated community service hours you must attend the orientation first before being scheduled for an event and you will need to bring your documentation requirements. All minor volunteers who signed up online will be prompted to print the Parent Consent during the online registration process. A parent or guardian must sign the form prior to arrival and the minor should bring it with him/her on the volunteer day. All registration and scheduling should be completed online before your first visit to the Freestore Foodbank. Other items: If you are volunteering at the Giving Fields or at an outside event, you may want to bring water, sunscreen, bug spray or other items to make your volunteer time more enjoyable. Check online when you register for specific items for your event. Where is the Freestore Foodbank located?